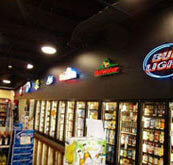 We are your source for convenience store design and walk in cooler answers! 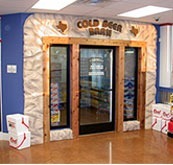 Walk in coolers also known as walk in beverage coolers, glass door coolers, and commercial coolers all have a primary purpose in your facility, to cool and effectively merchandise product. 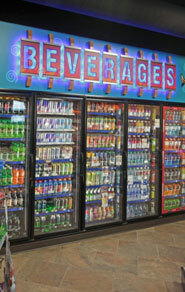 As you know your walk in cooler is the biggest investment of your merchandising fixture selection. Both from a monetary and sales floor per foot perspectives. Placement and Design are Critical in the creation of a productive and profitable traffic pattern that optimize revenue and keep your cooling costs low. Did you know the most common mistakes that happen when designing a new store deal specifically with equipment selection and placement. Styrene vs. Urethane Foamed in Place better R factor. Choosing Upfront Savings instead of Reduced Operating Costs Which Greatly affect your bottom line for years to come! With a 10-15 year investment, the operational costs and maintenance costs can far outweigh any one time saving by cutting corners on upfront cost. 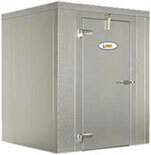 Consider that a lower R value will result in a higher cost to cool your unit and maintain temperature. 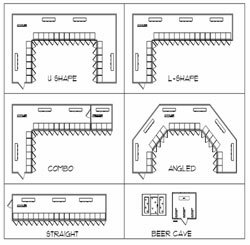 The lower the R and the overall design and installation will have a dramatic impact on your operational expenses of a Walk in Cooler. 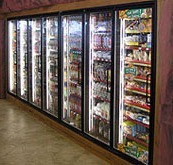 Why Jaycomp Developments, convenience store design consultants, for your custom Walk In Cooler?